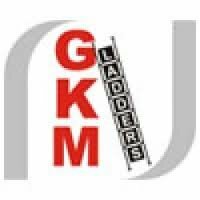 GKM Ladders has made climbing through ladders quite easier and comfortable by introducing state-of-the-art aluminum ladders in attractive designs and patterns. We are pleased to introduce ourselves as Manufacturers and Supplier of Aluminium Ladders, access work platforms. these are widely used by professionals, household, hotels, large commercial complexes and are produced by the State of the art machinery. An array of well fabricated aluminum ladders include Aluminium Reclining Ladders, Self Supporting Platform Ladders, Aluminium Extension Wall Reclining Ladders, Aluminium Self Supporting Extension Ladders, Aluminium Safety Tower Trolley Ladders, etc., which exemplify the best engineering and technical skills of our workforce. Our products are designed in tune with the rigorous quality standards making every product unique in terms of Durability, Strength, Stability, Safety and Reliability. Our products are available at the most competitive price that falls under the budget of every section of the society. Our aluminum ladders are Rust Proof, Durable and Resistant to Corrosive Action. They are light in weight which increases portability and has high tensile strength ensuring less deformity. Our ladders can be recycled, so they have a better resale value with no overheads on maintenance.